The contrast is striking: on one side, the 2016 U.S. presidential elections are already absorbing Washington's energy, the European Union is in an urgent need of decisive leadership and a series of severe crises are eroding Russia's power. On the other side, China, rapidly regaining a position of centrality, is developing a new grand strategy with a global vision. Far from being an empty rhetorical effect, Xi Jinping's New Silk Road will not only be one of the most discussed topics of 2015, but it will profoundly mark China's coming decade and reshape Eurasia. Backed by massive financial investments coming from the Asian Infrastructure Investment Bank and the Silk Road Fund, "the Silk Road Economic Belt", first announced on the occasion of a visit in Kazakhstan six months after Xi Jinping became China's President, and "the 21st Century Maritime Silk Road" are symbols of 21st century China and constitute for the Eurasian actors a historical opportunity. "Global China" is certainly one of the features defining the Chinese renaissance, the country's opening up creates conditions in which the world impacts the Chinese society but an open China projects also herself globally, Xi's New Silk Road vision, reminiscent of the Tang dynasty's dynamics, illustrates this movement. Some observers can point out that Beijing's renewed focus on the Eurasian continent can be seen, in geopolitical terms, as an answer to the U.S. pivot to Asia initiated by the Obama administration, however, the New Silk Road should not be interpreted as a tactical scheme to counter other forces, it simply complements "a new type of major-power relationship" which characterizes the China/U.S. bilateral relations. The People's Republic of China, soon the world's largest economy, is aware that with power comes responsibility -- and vice versa. In a sense, the New Silk Road can be understood as a Marshall Plan with Chinese characteristics, it reassures the Middle Country's neighbors, contributes to their growth and places them in a system designed by Beijing. Xi's grand diplomacy has the advantage to envelop China's West, Xinjiang, one sixth of China's territory, de facto at the center of the Eurasian continent, is a key element of the Silk Road Economic Belt. Infrastructure projects, trade, innovative public/private partnerships will transform China's most Western region into an international platform and take it simultaneously closer to Shanghai, Turkey and Europe. It would be for China's first trading partner, the European Union, strategic blindness to miss the opportunities offered by Xi's proposal, a vision whose scope goes far beyond the Shanghai Cooperation Organization. 2015, year of the 40th anniversary of the China-EU relations, can mark a new departure for the relations between the two edges of Eurasia. While the China-EU 2020 Strategic Agenda and the negotiations on an investment agreement are positive developments, the EU's new trio, Jean-Claude Juncker, the President of the European Commission, Donald Tusk, the President of the European Council and Federica Mogherini, the High Representative of the EU for Foreign Affairs and Security Policy, should respond adequately to the New Silk Road initiative with a sense of historical responsibilities and the common destiny of Eurasians as a strategic horizon. If they fail to do so, they would take the risk to isolate the EU from a major trend which will, in any case, with the political determination and the economic might of Beijing change Eurasia. A Sino-European Silk Road Fund could be a complementary mechanism to finance large projects -- from infrastructure to education -- serving the shared vision of a peaceful and prosperous Eurasia. An ambitious trade agreement between the EU and China would complement the efforts to facilitate commercial exchanges across the Atlantic and across the Pacific. Italy, where the Silk Road has a unique significance, Germany, the country of Ferdinand Richthofen the geographer who coined the term "Seidenstrasse" and France, especially apt to conceive a bold and independent policy toward China, can push the European Union to seize the New Silk Road moment. Rome, Berlin and Paris will certainly get the full support of Eastern Europe whose history and culture are, through the Eurasian continuities, connected with Central Asia. Eurasia is under the immediate threat of a territorialized terrorism that will not be defeated with drones, killing machines which, on the contrary, generate infinite hatred and fuel radicalism. The New Silk Road, addressing the long term needs of economic and social progress, creates the conditions to eliminate the roots of extremism. Moreover, enhanced EU/China synergies in the framework of the New Silk Road are an invitation addressed to Russia, indispensable nexus in a continental cooperation network, to act as a co-architect of a 21st century Eurasia. Japan, a nation confronting multiple crises but which is still the world's third largest economy, is not by essence excluded from the New Silk Road, the ancient Silk Road which still fascinates the Japanese scholars linked Europe and Nara, in the year which coincides with the 70th anniversary of the end of World War II, Tokyo can choose to reconnect with the depth of its Eurasianess and become a constructive force in the making of a cooperative Eurasia. The 21st Century Maritime Silk Road which will boost the ties between the Middle Country and Southeast Asia, gives a new importance to the province of Fujian. Xi Jinping, who combined a profound knowledge of Fujian and a deep understanding of the Taiwan issue, is offering Taipei an opportunity to benefit from his grand strategy and a space, besides APEC, for more international visibility. Fully embraced by the European Union and other Eurasian actors, the New Silk Road will take 65 percent of the world population toward an unprecedented level of cohesiveness and prosperity. 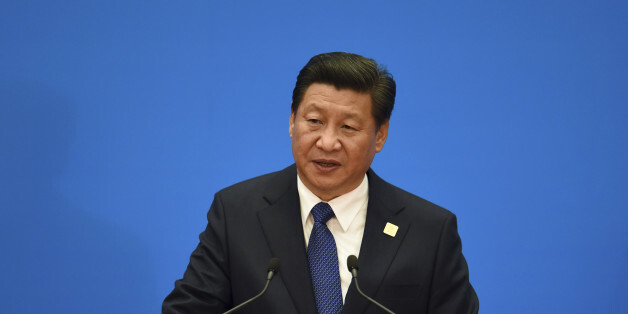 Following the "China Dream" mainly articulated for the Chinese people, Xi Jinping proposes a humanistic vision of progress which goes beyond national interests, based on China's own experience of material development and inspired by the Chinese sense of universalism, Da Tong, or Grand Harmony, the New Silk Road is "Eurasia's Dream", a dream we can pursue together.